Designed to complement your existing space, Komandor's custom wall-unit are provide much added structure to open spaces. 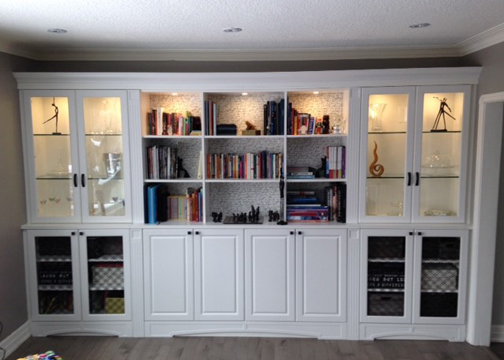 Wall units can be created for just about any room of the house. In a bedroom they can be wardrobe storage, in a den they can be a library, in a kitchen a pantry and in a living room an entertainment centre.